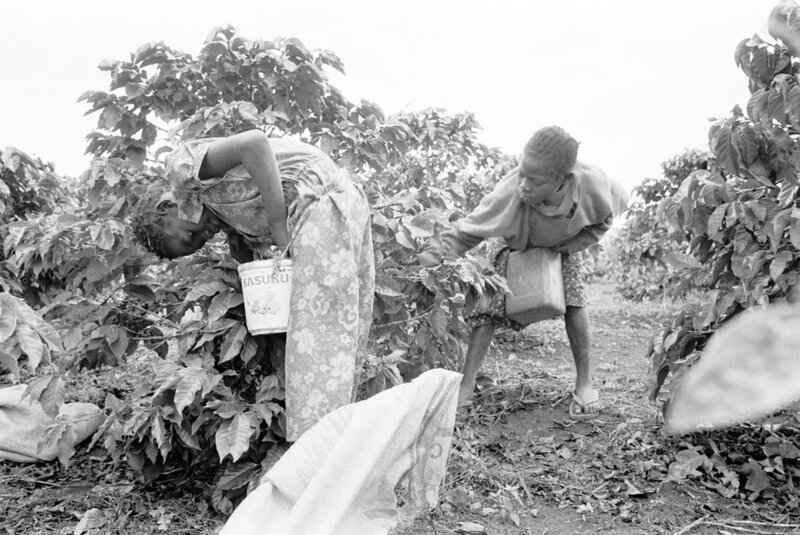 In the Rift Valley of Kenya, 60% of the workers on this coffee plantation are girls under 14 years of age. Children work hungry and the girls are prey for overseers. Since these photographs were taken in 2003, child labor of this type has all but been eliminated on the largest coffee and tea plantations through the work of trade unions and child labor committees. Their focus is on having adults do the work so that children can attend school.